Sleepers are a hugely popular garden construction material. 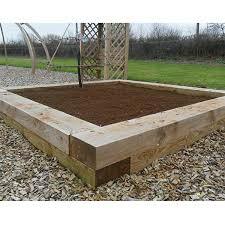 They look good, they’re rugged, they last for years when properly maintained and can be used for all kinds of builds from garden steps to raised beds to basic garden furniture. Our reclaimed sleepers measure 2.6m x 225mm x 150mm. Tar leaching out of reclaimed sleepers should always be considered when used in a garden. 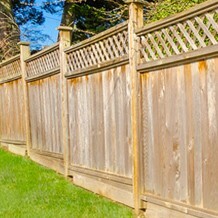 – Don’t use creosoted sleepers around children, food, or indoors. – Don’t put them in places where people may sit on them or regularly come into skin contact with them. Reclaimed sleepers should always be handled with Gloves, and a dust mask must be worn when cutting. These new oak sleepers are very popular sleepers. They will age and season, eventually weathering to a silver grey. 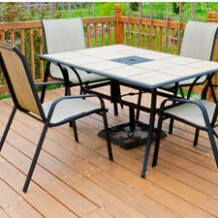 They are suitable for garden furniture (e.g. tables and benches, so long as you allow for potential movement, shrinkage, and cracks as they dry out), as well as lintels, steps, decking, retaining walls and other landscaping projects. 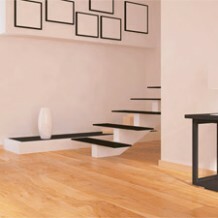 Like many durable hardwoods, they are not treated with any preservative. 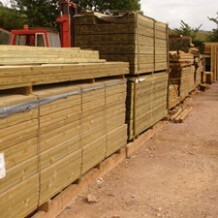 Our stocked oak sleepers measure 200mm x 100mm x 2.4mtrs. 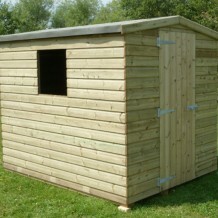 Other sizes are available to order, Please call with sizes and quantities for prices. Our UC4 treated softwood sleepers are the most popular of all our new sleepers. 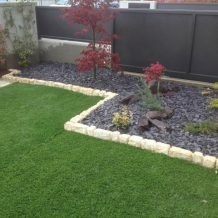 Frequently used for those wanting a clean neat landscaping look, with the option of staining or changing colour. 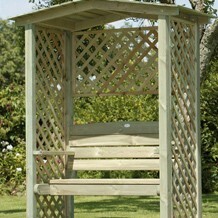 Great for gardening, as they are very simple to stack and construct with, not to mention lifting, drilling and cutting. 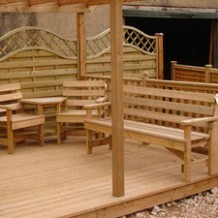 Popular for steps, walls, raised beds, decking, ponds, furniture & areas where creosote treatment is unsuitable.